Coffee in Class: An Alternative to Animal Experiments in Pharmacology? The equipment required for the experiment is readily available at low cost. 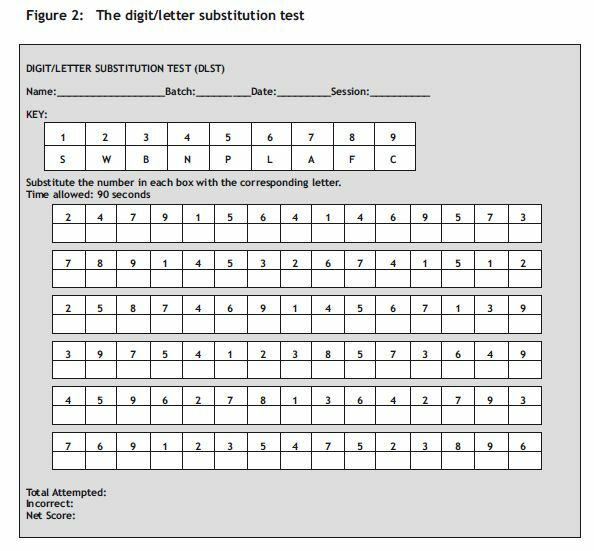 It comprises three sets of parallel worksheets for the SLCT, three sets of parallel worksheets for the DLST, a stop watch, an office bell, and standard hot coffee (2g instant coffee/200ml). 1. The practice session: The tutors familiarised themselves with the tests and planned the experiment to ensure smooth implementation. Ethical approval was granted from the Institutional Ethics Committee prior to the conduct of the experiment. The tests were administered during the pharmacology laboratory sessions to seven batches of 25–30 medical and pharmacy students. The students were told about the importance and relevance of the tests, and were issued with the instructions necessary for performing the tests. Written consent was obtained from those who volunteered to participate in the experiment. One practice session was organised, in order to familiarise the participants with both the tests. 2. The pre-coffee session: The worksheet for the SLCT were distributed, and the students were asked to write their names on the back of the sheet. This was fllowed by the first bell, indicating the beginning of the ‘working-out time’, which ended with a second bell after 90 seconds. The students were asked to start and stop immediately when the bell rang, and strict monitoring of time was ensured. The sheets were randomly exchanged among the students for score calculations. The second test, the DLST, was administered in a similar manner, after an interval of 5 minutes. 3. The post-coffee session: A 20ml cup of standard coffee was served to each student. After 20 minutes, the two tests were re-administered as before, with parallel worksheets, i.e. a new key was used in each session, to nullify the effect of memory. 4. Interpretation of scores: The students were asked to record the scores of the two tests in the three sessions (practice, pre-coffee and post-coffee) in their record books, and to draw conclusions based on a pharmacological explanation. The mean scores of both the tests for the practice, precoffee and post-coffee sessions were expressed as the mean ± standard deviation (SD). Comparison of scores was done by using the Wilcoxon signed-rank test. The significance level was set at 0.05. Of a total of 180 medical and pharmacy 162 participated in the experiment (response rate 90%). The mean scores (± SD) of the SLCT for the practice, pre-coffee and post-coffee sessions are given in Table 1. Although there were no significant differences between the practice and pre-coffee session scores for both the tests, a statistically significant difference (p < 0.05) was observed between the pre-coffee and the post-coffee scores. Furthermore, a small number of students obtained a low score (5%), or had no change in their scores after coffee intake (6%). The students gave a very good feedback on the experiment, as reflected in the questionnaire (Table 2). However, in the free responses, a few students (12%) reported that they lost interest by the third session, due to the simplicity and repetitive nature of the test, and that, as a result, they felt that they did not perform at their best. We have endeavoured to introduce a clinical pharmacology experiment as an alternative to CAL and animal experiments, for use in undergraduate health professional education. This experiment has very few requirements, and can be easily performed within laboratory session time-frames. The experiment also reinforces the concept of the mild stimulant effect of coffee. However, test performance is affected by various factors, including motivation, understanding, interest, mood, environment, quality of the worksheet, and personality type, so scores obtained may vary for different groups and sub-groups. Moreover, a clear understanding of the principle of the paper and pencil test among the faculty is important, in order to plan the experiment in an organised manner. Although these tests had been used earlier as a teaching tool among medical students, the perceptions of the students had not been obtained.11 The experiment was reintroduced in our setting with certain modifications, and student feedback was obtained with regard to its acceptability and relevance. This experiment had been introduced for the first time in the Pharm D curriculum to demonstrate the effects of the drug. The test scores of both the tests (SLCT and DLST) showed a significant increase in psychomotor performance after coffee intake, suggesting a stimulant effect. However, a number of sources of variation were identified: differences in quantity of coffee consumed, loss of interest due to repetitive nature of the test, and anxiety after coffee intake. The latter is a known side-effect of coffee in certain individuals. Students who did not show an increase in score stated that they frequently consumed coffee during the day. The student feedback revealed that the majority found the experiment interesting and informative. This could probably motivate them to learn more about the drugs and their effects. 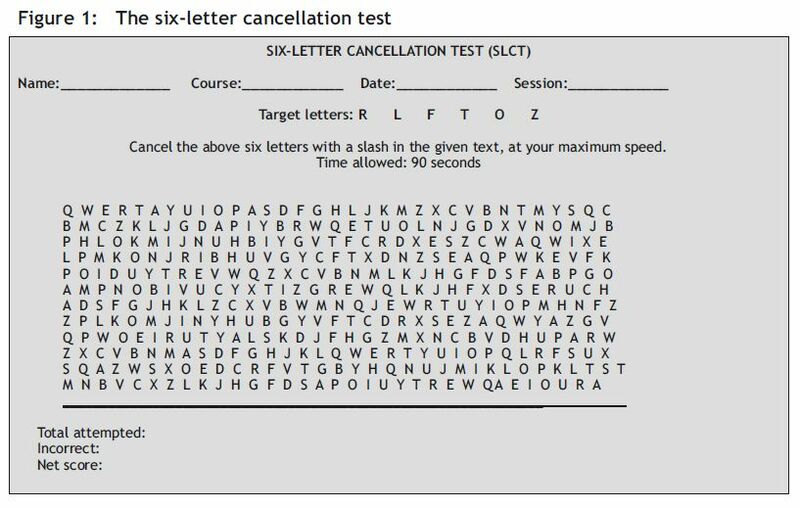 However, in the open-ended responses, a few students felt that the tests were too simple and that a higher degree of complexity was necessary to keep up their interest. 1 Gitanjali, B. (2001). Animal experimentation in teaching: Time to sing a swan song. Indian Journal of Pharmacology 33, 71. 2 Solanki, D. (2010). Unnecessary and cruel use of animals for medical undergraduate training in India. Journal of Pharmacology & Pharmacotherapeutics 1,59. 3 Desai, M. (2009). Changing face of pharmacology practicals for medical undergraduates. Indian Journal of Pharmacology 41, 151–152. 4 Guhad, F. (2005). Introduction to the 3Rs (refinement, reduction and replacement). Contemporary Topics in Laboratory Animal Science 4, 58-59. 6 Dewhurst, D. (2004). Computer-based alternatives to using animals in teaching physiology and pharmacology to undergraduate students. ATLA 32, 517–520. 7 Badyal, D.K., Modgill, V. & Kaur, J. (2009). Computer simulation models are implementable as replacements for animal experiments. ATLA 37, 191–195. 8 Wang, L. (2001). Computer-simulated pharmacology experiments for undergraduate pharmacy students: Experience from an Australian University. Indian Journal of Pharmacology 33, 280–282. 9 Kuruvilla, A., Ramalingam, S., Bose, A.C., Shastri, G.V., Bhuvaneswari, K. & Amudha, G. (2001). Use of computer assisted learning as an adjuvant to practical pharmacology teaching: Advantages and limitations. Indian Journal of Pharmacology 33, 272–275. 10 Gitanjali, B. & Shashindran, C.H. (2006). Curriculum in clinical pharmacology for medical undergraduates of India. Indian Journal of Pharmacology 38, Suppl., 108–114. 11 Natu, M.V. & Agarwal, A.K. (1997). 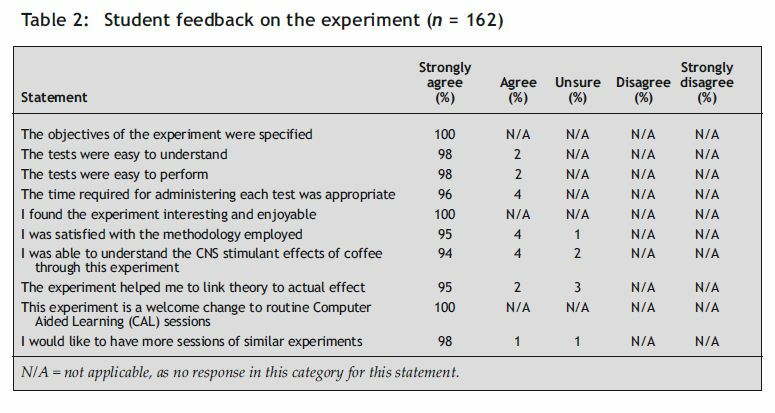 Testing of stimulant effects of coffee on the psychomotor performance: An exercise in clinical pharmacology. Indian Journal of Pharmacology 29, 11–14.